The sisters get questions about screens all the time! So in this episode, they’re phoning a friend- The amazing Mary Wilson from Not Before 7! 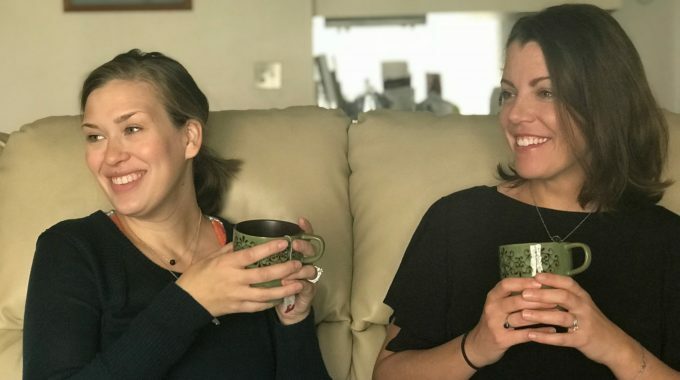 Mary has a great strategy in her home and she has found peace with this topic, so you’re going to love hearing what she has to say. 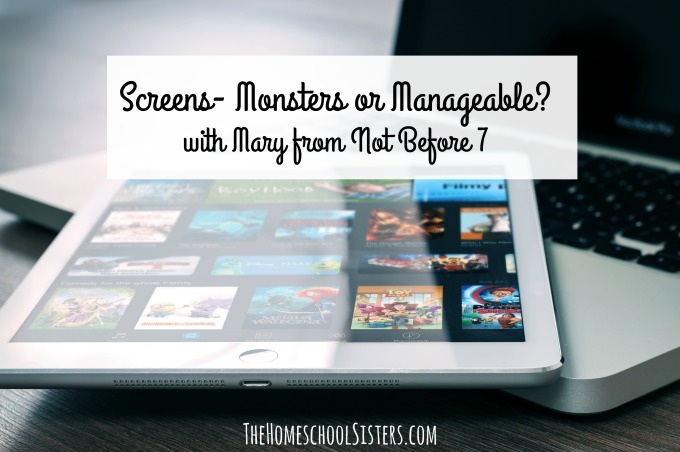 Cait and Kara chat with Mary about all the most common screen questions they receive: How much is too much How do you find balance between “learning” screen time and “play” screen time? Is technology a monster? Or manageable? And finally, is homeschooling moving more toward technology? If so, how can we embrace that? There is so much wisdom from Mary in this episode! It’s like a deep breath for worried parents! When I was in second grade, I was in a split classroom with third graders. Our school did this sometimes, and I try to imagine now how the teacher handled it. But at the time, I just knew that it allowed me to make friends with the coolest girl in school. Her name was Emily, she was 9, and she had blonde, curly hair that fell in waves down her back. And she had her ears pierced. She would wear tiny ice cream cone earrings, or dainty hoops; tiny gold stars, or fluorescent dots, and man – did I ever want to be just like her. I asked my parents again and again if I could pierce my ears, and they told me “not until you’re older,” and “later,” and so I waited and while I should have been memorizing multiplication tables, I instead memorized the shape of Emily’s earlobes and her collection of tiny animal and rhinestone stud earrings, and I wondered if part of the reason Emily was so cool was because her parents clearly let her do whatever she wanted. 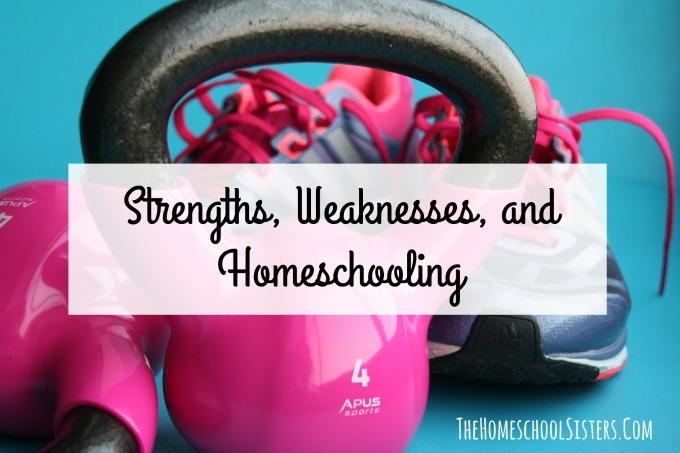 Is it normal for your homeschooler to have strengths and weaknesses in certain subjects? How much should you worry about keeping your child at grade level? Is there a way to know what your child “should” be learning? 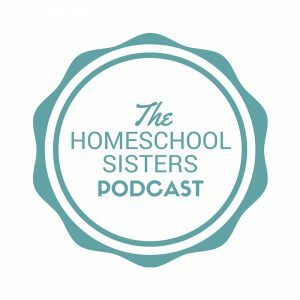 This week, the homeschool sisters dive into these questions and offer up some thoughts about the “standards,” plus how to keep from worrying all the time. 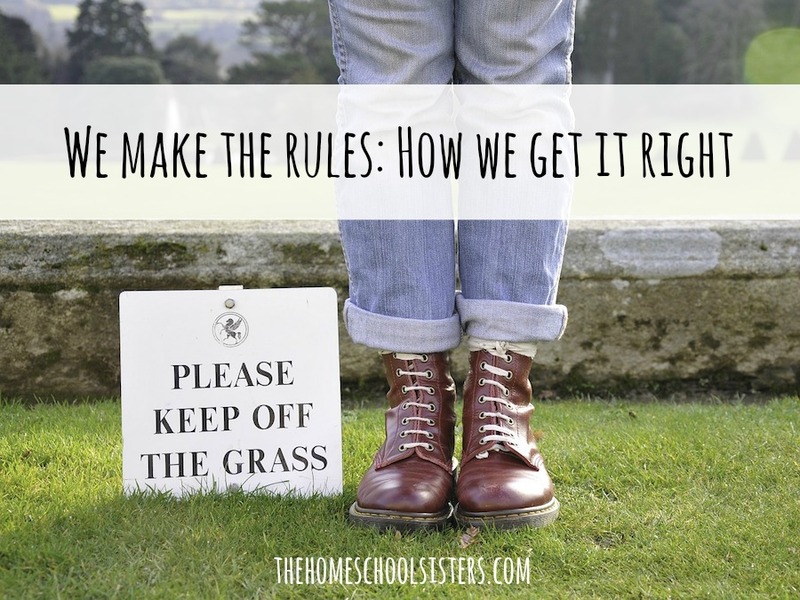 They chat about kid quirks, dealing with state requirements, grandma doubts and dad concerns. And mostly, they remind you that all kids naturally develop on their own timelines, so don’t fret- you’ve got this! February didn’t break me this year. 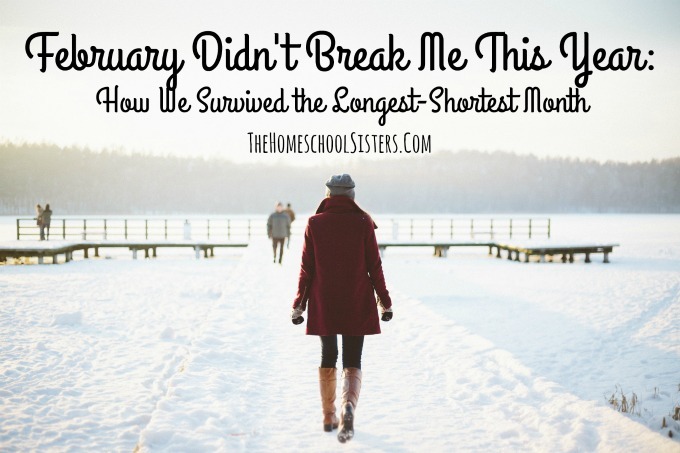 There were moments when I felt like February was winning but, in the end, I came out ahead.